As orders are slowly starting to not only come in, but also pile up, alongside the overhead necessary for running this project, I begin to recognize a sense of urgency to work faster. There is little time to indulge in solving everything perfectly. Decisions need to be made quickly, “rapid prototyping”, “quick fixes” to solve “last minute breaks”, “whatever gets the job done”… one switches from the slow and caring mentality to a kind of rushed frenzy at times. In my last post about Longevity Aspects in Practice I wrote how “To Show is to Care (Attention to Detail)” – how as soon as we hide things, we put less effort into solving them nicely. Drawing a link between aesthetics and good use of resources. In this post I want to write down some ideas about the relationship between time and good use of resources. The creative process is not equal to the industrial process. But! The creative process feeds the industrial process. 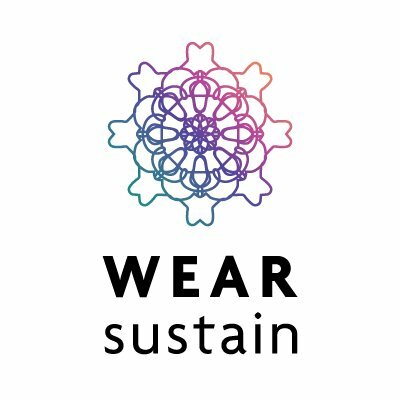 While our production is minuscule* compared to mass production, and even still tiny compared to small scale production, we don’t want to discount the waste we produce – both actual and influential. To do so, I look at our use of materials through a critical lens of resource efficiency. Very simply put, for me “resource efficiency” means: using less is always better. 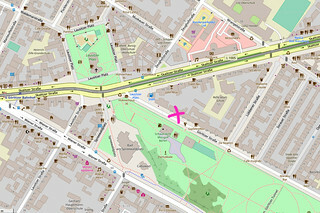 *It does feel a bit silly to be thinking about efficiently using resources in the creative/experimental/prototyping phase of a project, but I think it is a valid point to think more about, because this phase has influence on later stages of the idea and because this phase is a learning stage for many people starting out with these materials and techniques and any information that is communicated here will spread far. Even if our scale is “negligible” we still need to notice the materials we use and pay attention to less efficient use of these. Is it really necessary to print this out? Lets just quickly cut this up to see what it looks like… . We should feel bad, because it should come from a learned/conditioned/embodied understanding that materials are valuable and to use less of them represents a kind of priority even on the most basic level of choosing where to cut out a circle from a piece of fabric. 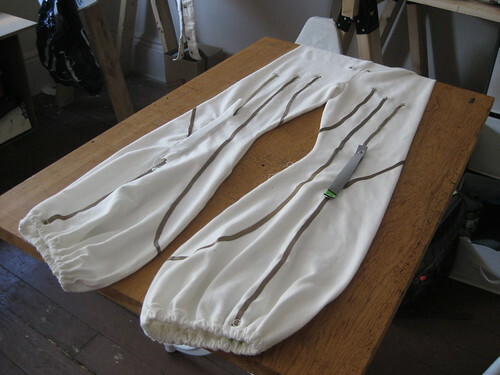 Near the edge, right at the edge or right in the middle of the fabric (Fig. 1a and b)? 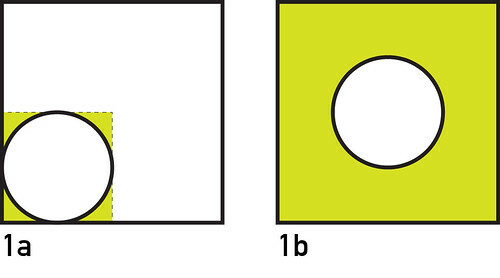 But when the ideal shape of your design produces a lot of waste (2a), do you consider changing the design to make it consume less material (2b)? How far do you go (2c,d)? Do you spend time thinking about how to solve the design differently to use less material (2e)? It makes total sense to spend time to optimize towards this goal, except: time is limited. – Are creative processes inherently fast, messy, iterative, wasteful? – Conditioned Behavior – general propagation of “sustainable behavior” vs. concrete implementation of sustainable solutions. What if time were endless? 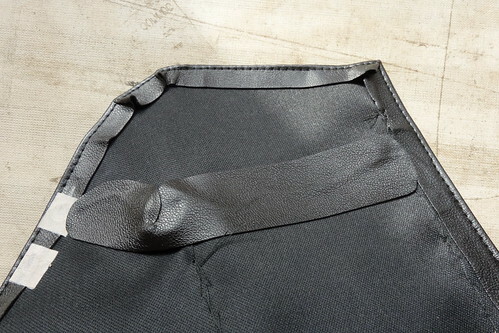 In a small way our tailor shop provides us some luxury in having time to R&D (Research and Develop) each commission. But do we have enough time to spend it on “using less”? 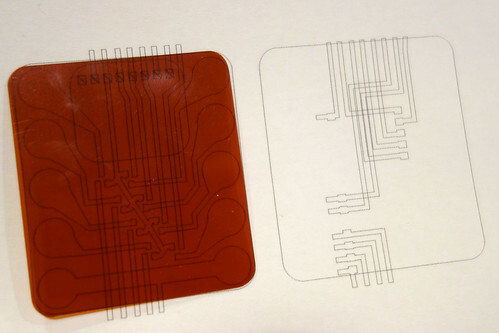 The flexible circuitboards we design are always different shapes and cutting them out of Kapton film leaves lots of leftover material. 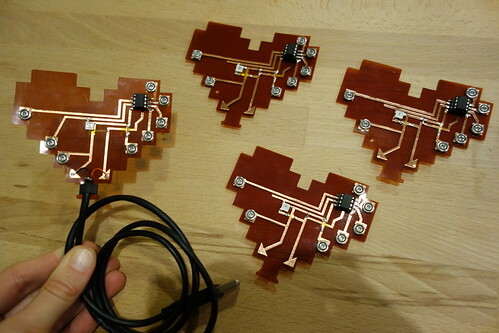 What if these circuitboards were shapes that could tessellate. Of course squares tessellate beautifully, but are also boring and often use more material than necessary to reach a larger area when one does not need the circuit to fill the entire square of the area. But designing shapes that tessellate takes time. So could we take that time to learn the principals of tessellation ahead of time and be able to apply them more efficiently when needed? 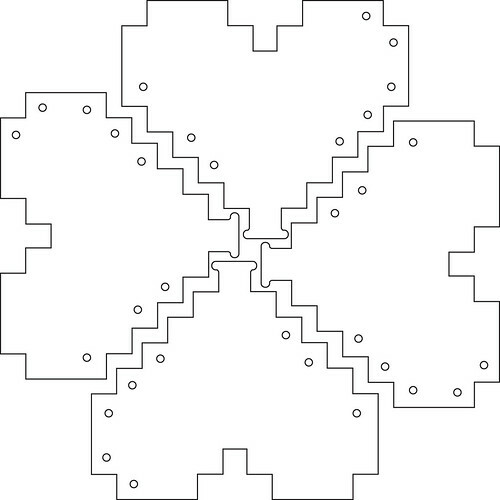 Or even prepare a few (generic) tessellated shapes ahead of time to draw upon when needed? This reminds me of the block designing we are working on with Ben right now. 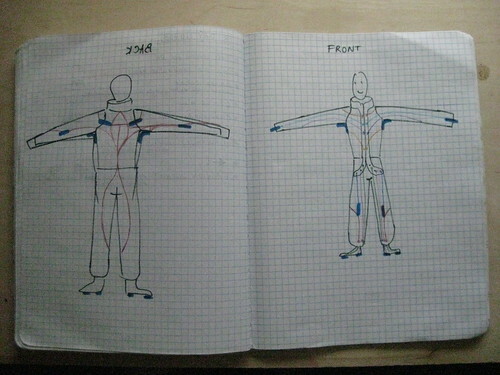 Preparing a set of graded clothing patterns (shirt, pants, skirt, jacket…) so that when we need to make something we have a starting point and don’t start from scratch. But I did not have/take the time to make the copper layout more efficient! See next point “packing algorithms”. 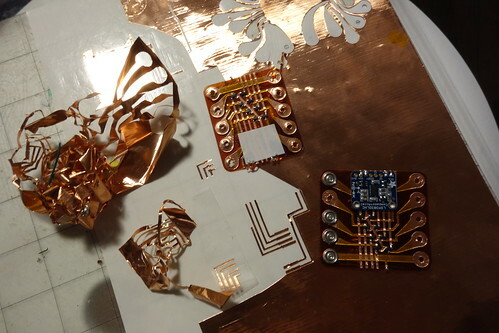 For Rachel’s JumpNorth flex circuit I ran into the fact that cutting curved traces from copper and transferring them to the circuitboard always means lots of waste material. 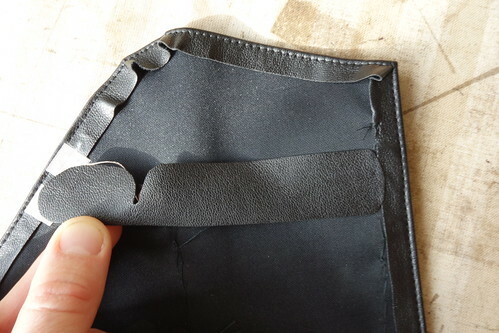 It is more time-efficient to cut the traces in their final position and transfer them all in one go with stickytape. But it is also possible to “pack” shapes together so that you create as less waste as possible. Why do software programs like Illustrator, Inkscape or the cutting programs like Silhouette Studio or Cut-Studio not have these algorithms built in??? This issues of packing shapes together is a known problem – see: Packing Problems”! So I did some kind of in-between solution where I grouped and packed some lines to save some material. 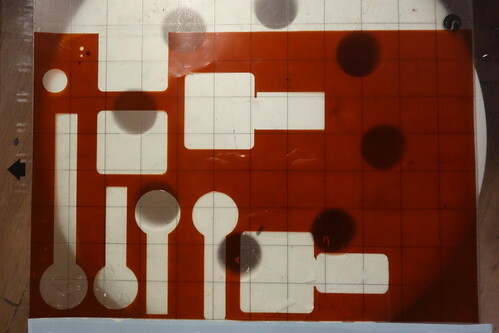 But in order that I could place the traces into the right position (since I was not transferring them all in one go), I needed to print out a template of the final circuit on paper to use as a reference – more material. 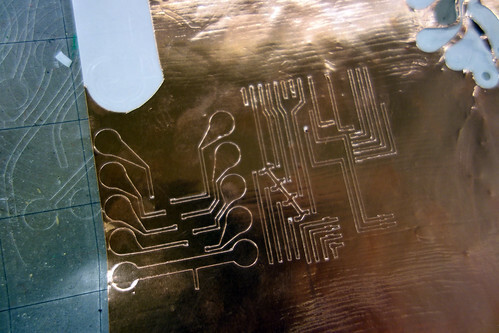 Paper instead of copper, but still material. One thing is to make the process less wasteful, another thing is to make the design consume less. 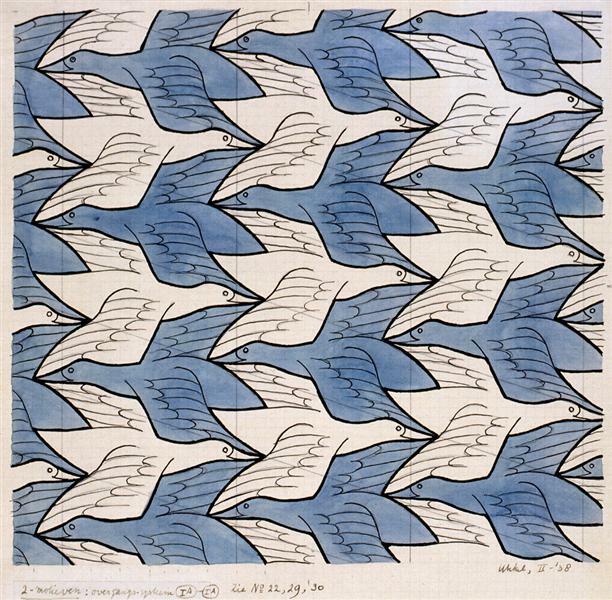 Meg Grant’s Zero Waste Pressure Sensor is a great inspiration, but for understandable reasons, it is very square and so maybe one challenge is explore zero waste designs that have interesting shapes, even beautiful ones – here M. C. Escher is a huge inspiration for tessellation. Compared to the above, this feels like a simple trick, but one that can make a huge difference in the quantity of material you need for a project. In many instances, if you need a curved line, you can cut a straight line and curve this line. 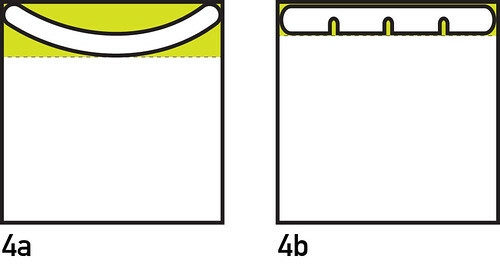 We use this technique a lot when fusing strips of stretch conductive fabric to make circuits. 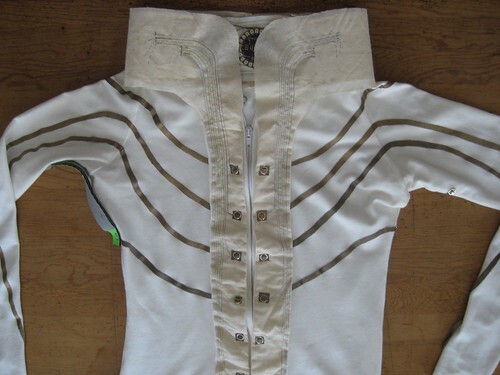 In the example of our Perfect Human performance suit all the circuit lines that curve around the body are cut as straight lines and then curved as they are fused. 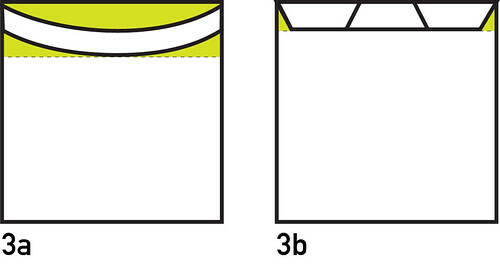 If the curve is extreme, and the material has no give, you can use notches or darts to create more curvature (3a,b). On the back of Xander’s illuminated web circuit I cut a straight strip of fake leather and notched it to create a curve, rather than cutting a curved piece (4a,b). FPGA chips – A field-programmable gate array is an integrated circuit designed to be configured by a customer or a designer after manufacturing – hence “field-programmable”. If something is re-useable without waste, there would be no waste? Would we never have to consider using resources efficiently. Wait, what if instead of developing re-programable materials, we make use of the fact that our brains are already programmable biodegradable machines. We can re-program ourselves, our behaviour our priorities to keep up with the times. When new recycling processes are developed we need to act differently. For this we need the media, and access to people’s attention so that they know how to act. And designers to communicate this information, through the design of labels, icons… new recycling containers…. This brings me to the next thing that I want to write about, which is how to prepare information so that we can use it to make informed decisions. Not to do what we are told, nor to follow instructions, but to intake information and then make a decision based on individual factors.